Manatee and Dolphin and Osprey, Oh My! A visit to ‘Tween Waters Inn Island Resort & Spa is a chance to get up close and very personal with nature. And it took only one trip for me to discover a truth I’d have never otherwise known. Yes, they’re gently gigantic majestic sea cows and all the other lovable things you’ve heard, too. But when you’re a 45-year-old guy wedged into a kayak and armed with only an obsolete iPhone to document your interaction, they also know exactly when to surface while you’re still fumbling through your access code, and precisely when to submerge just as you’ve lined up the perfect shot. Maybe it’s instinct. Maybe it’s coincidence. Or maybe, as I surely suspected by the end of a two-hour paddle-bearing dalliance in the waters surrounding Buck Key, maybe they’re all hovering just beneath the surface — readying for just the right moment to re-emerge, and have me miss another great image. But regardless of their intent — and in all seriousness — it’s an experience not to be missed. 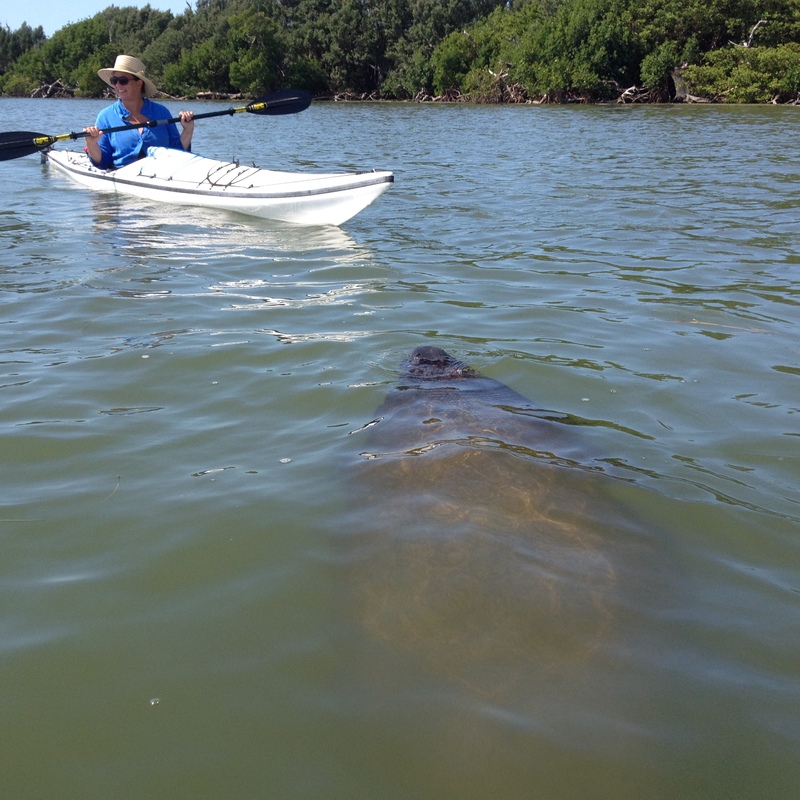 I was part of a six-strong mix of vagabonds (two from Michigan, one each from New York and Ohio, a Naples resident and myself) for a 2.5-mile trek offered by Adventure Sea Kayak Wildlife Tours, bayside on the property. Adventure Sea Kayak offers four tours daily —9 am and 1130 am, 2 pm and 4 pm, weather permitting — from $40 for adults down to $30 for kids 10 and under. Reservations are recommended and customized trips and rentals are available. Our trip was led by amiable tour guide Bob, a self-professed Florida cracker who spends half his work week splashing around the Tween Waters Inn, and the other half shuttling between his home in Fort Myers and a gig at Cabbage Key. The time on the water has served him well, because he barely missed a beat between getting this northern transplant into just the right vessel — a candy apple red Whistler with a foot-pedal operated rudder — and dazzling the half-dozen of us with a college-level refresher on the flora and fauna just a few paddles off the shore. We saw the aforementioned manatees, a dolphin whose dorsal had an unsatisfying meeting with a motorboat, and enough osprey, little blue heron and mullet to fill three seasons of Mutual of Omaha’s Wild Kingdom. But just remember: if a good photo of manatees is what you’re after, you might have to endure some silliness to get it.